In contrast to, Harley-Davidson, KTM, and Kawasaki, Ducati has not shown interest in producing electric motorcycle. But that does not mean we should not just imagine it. 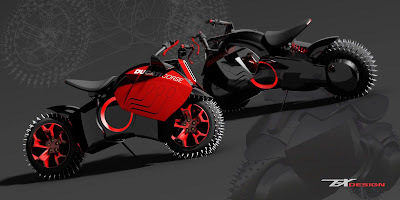 One of them is shown in the results of digital engineering renderings created by Paolo Tesio. 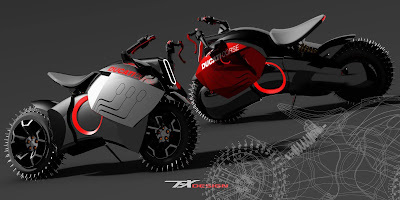 This designer imagination to make three pictures a future electric motor Ducati. As reported by Autoevolution on Friday, December 25, 2015. Paolo Tesio makes the rendering of Ducati electric motorcycles with a futuristic feel. Its handlebar made like animal horns and used spiked tires. Tesio retaining chassis structure which has been the hallmark of Ducati. Under the seat, there is a place to store the battery with larga capacity and tightly closed.